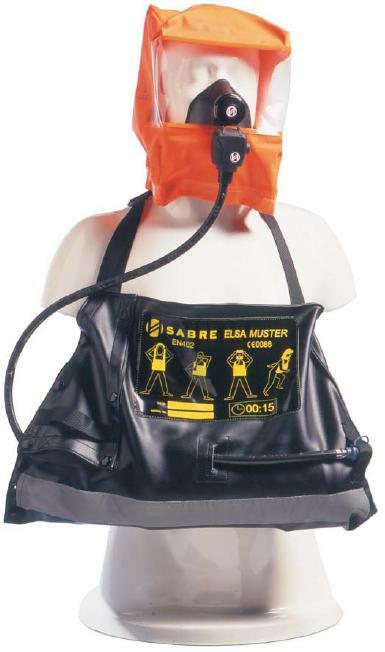 The Sabre Safety ELSA Muster is an open circuit, positive pressure airline breathing apparatus generally comprising; Anti-static bag, high pressure reducing valve, automatic positive pressure demand valve and coupling for airline supply hose. The apparatus is supplied with either a Panaseal positive pressure facemask or with a positive pressure hood. 2009644 ELSA Muster positive pressure escape breathing apparatus complete with bag mounted 2 0 litre, 200 bar steel cylinder to EC specification providing 400 litres breathing air giving a rated duration of 10 minutes*. 2009643 ELSA Muster positive pressure escape breathing apparatus complete with bag mounted 2 0 litre, 200 bar steel cylinder to EC specification providing 400 litres breathing air giving a rated duration of 10 minutes*. 2009642 ELSA Muster positive pressure escape breathing apparatus complete with bag mounted 3 0 litre, 200 bar steel cylinder to EC specification providing 600 litres breathing air giving a rated duration of 15 minutes*. 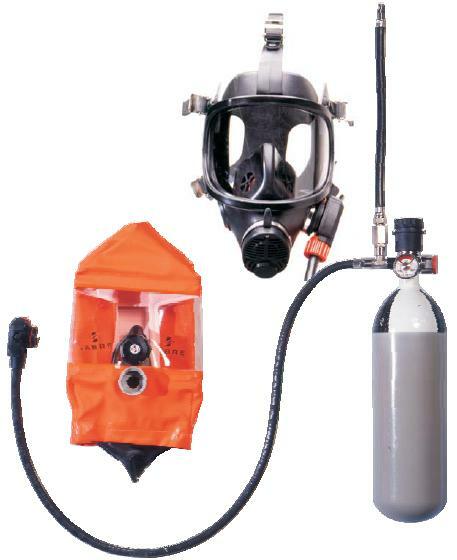 2007116 ELSA Muster positive pressure escape breathing apparatus complete with bag mounted 3 0 litre, 200 bar steel cylinder to EC specification providing 600 litres breathing air giving a rated duration of 15 minutes*.